I am sure that my daughter was born in a hispanic or latin family in her previous birth. Anytime I ask her what she would like for dinner, the answer is either fajita, quesadilla, chili but her favorite is enchilada. 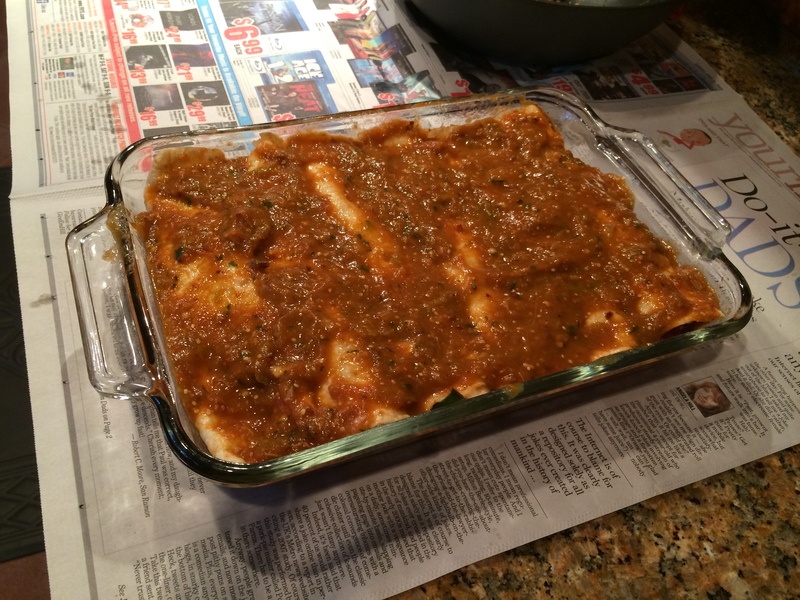 So today’s recipe is enchilada. 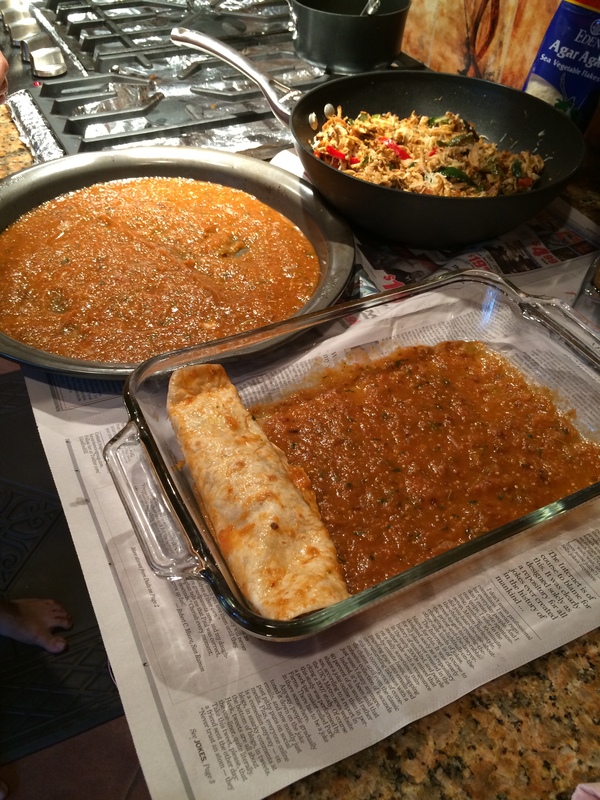 I feel key to a good enchilada is the sauce, if you get the sauce right you got 70% dish right. 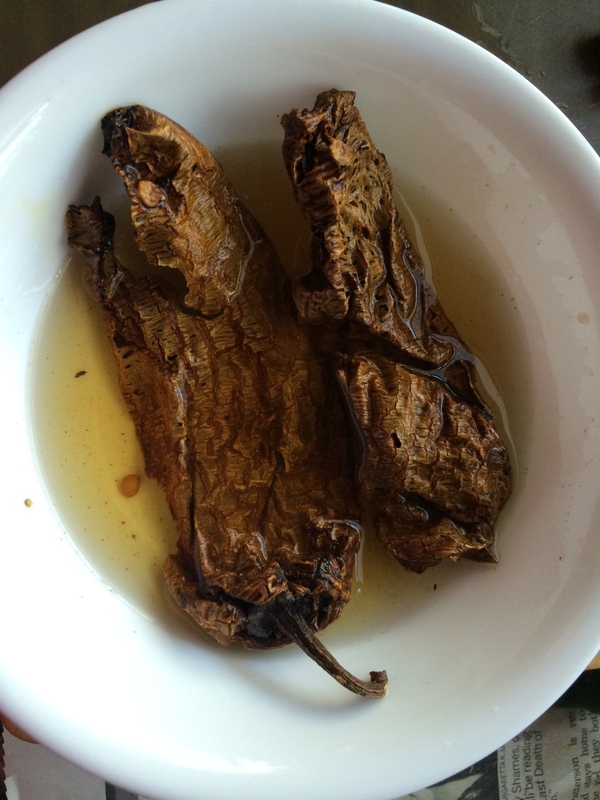 I learnt to make this sauce from Iris ( pronounced as ‘ee-ra-is’), she comes from the Jalisco province of Mexico and this is how her mom makes the sauce. Clean the tomatillos. 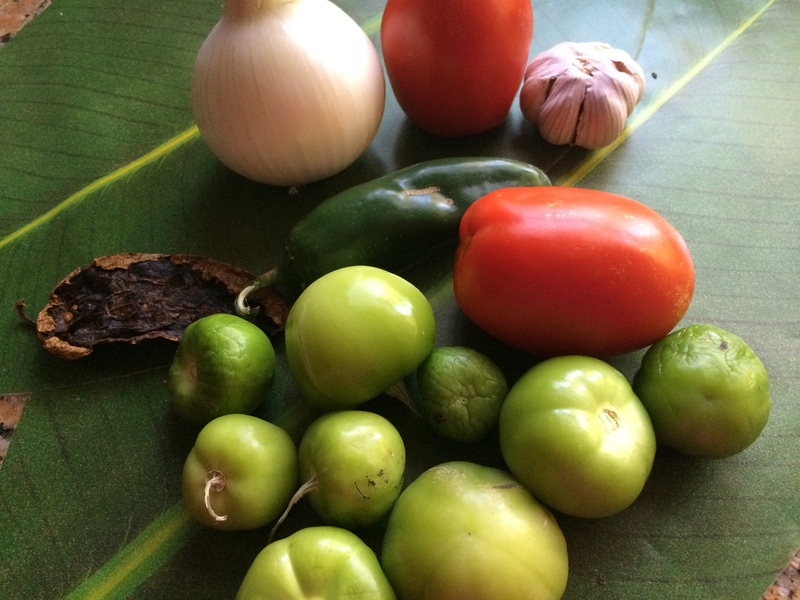 Arrange tomatoes, tomatillos, garlic, onion, jalapeno in a baking dish. Sprinkle with oil and salt. Bake it in the oven till you see the tops of the vegetables browning. I like mine a little smoky so I leave them in till they get black spots. If you like your salsa smoky, add the dried guajillo chili to the roasting vegetables for the last 5 mins. If you are not planning to roast the dried chili with the vegetables. soak it in warm water for 15-20 mins( longer is ok). Grind the roasted vegetables with a cup of water( you can also use chicken stock) With chopped cilantro, soaked dried guajillo chili and salt. 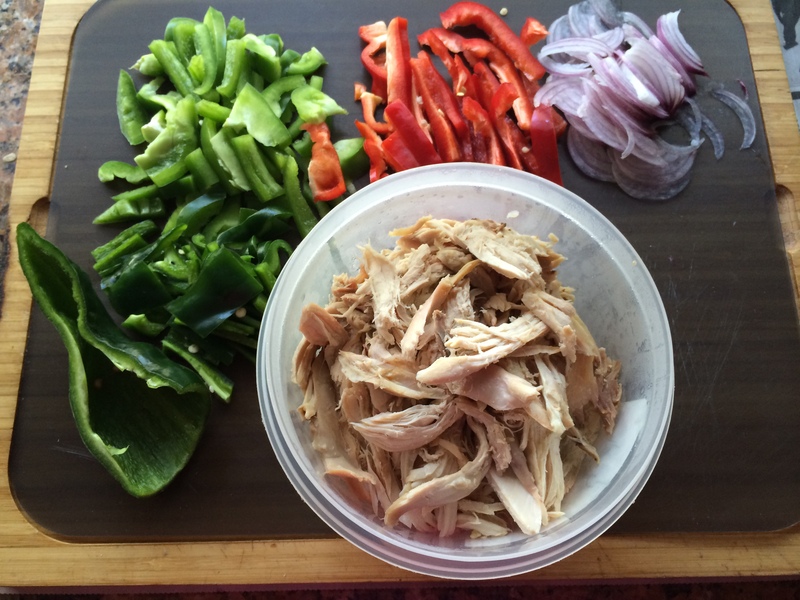 If you are using the rotisserie chicken, de-skin & de-bone the chicken, you should be left with cooked shredded chicken. In a pan heat some oil. Add sliced onions and saute until nicely browned ( I like mine almost caramelized). 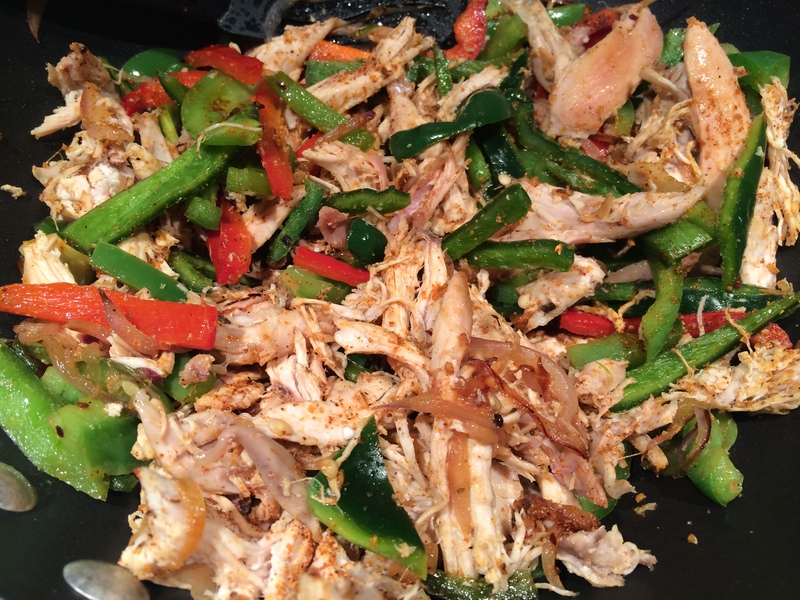 Once the onion are done, add the shredded chicken and sliced bell peppers. Cook for a few mins, add ‘Fajita seasoning ( see note)’. Cook until all the flavors come together. Add chopped cilantro and take it off the heat. 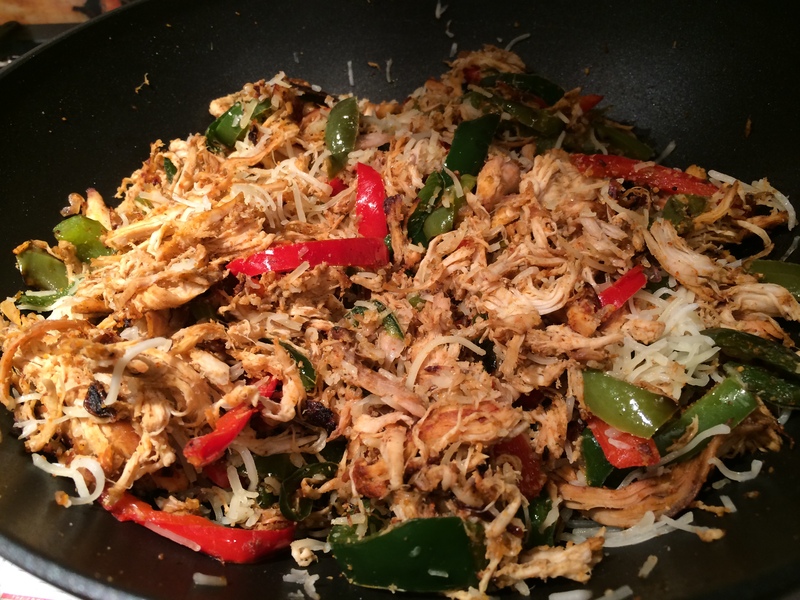 Once the meat mixture is cooled to room temperature, mix in 1 of the the shredded cheese and keep the mixture aside. Take a baking dish. 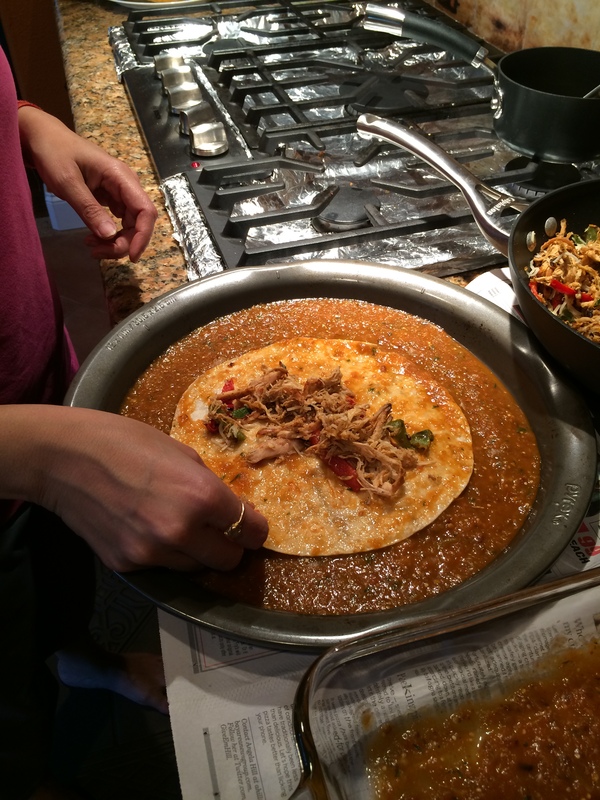 Cover the dish with a thin layer of the sauce to prevent the tortilla from sticking to the dish. Take a plate and pour the rest of the sauce in that plate. 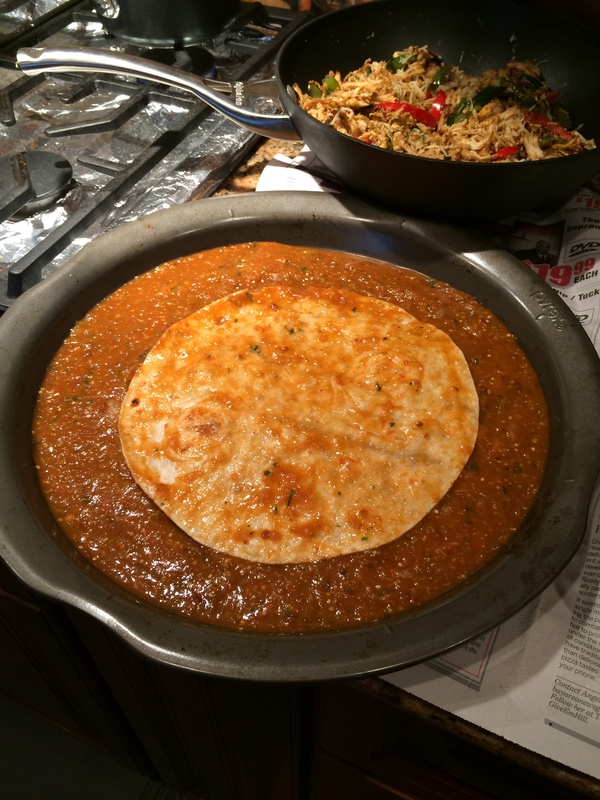 Dip the tortilla in the sauce, flip over to coat both sides. Spoon heapful of the chicken & cheese mixture on the center. Roll it up and arrange the roll on the baking dish. Finish arranging the rest of the tortillas in the baking dish. Cover this with the remaining cup of shredded cheese. 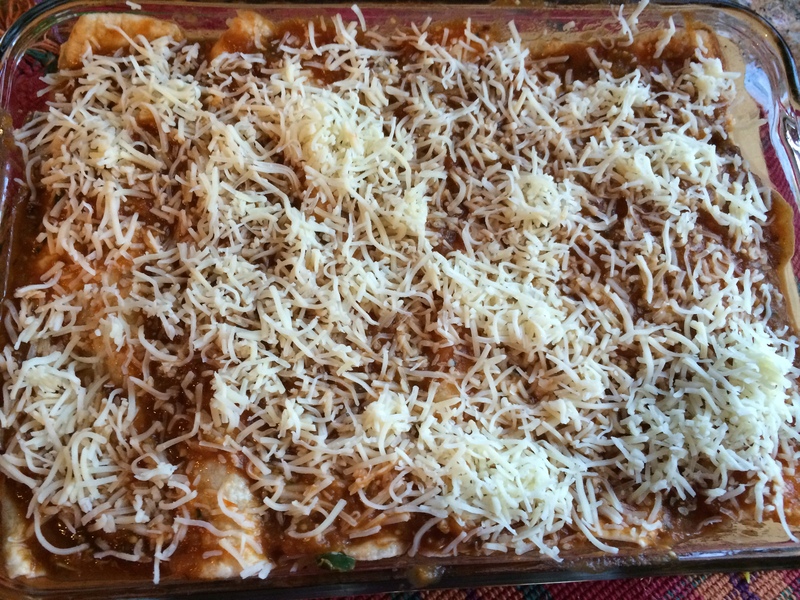 Bake it in a 350F oven till everything heats through and the cheese melts ( about 25-35 mins). If you think that the cheese is melting but the enchilada is n heating through, you can cover the dish with an aluminum foil while baking, take it off during the last 7-10 mins for the cheese to get golden brown. Serve it with a dollop of ‘fresh crema’! Vegetarian option: You can make a vegetarian version very easily. I make mine with sliced portobello mushroom, zucchini, carrots. My mom is a pure vegetarian and she loves it. 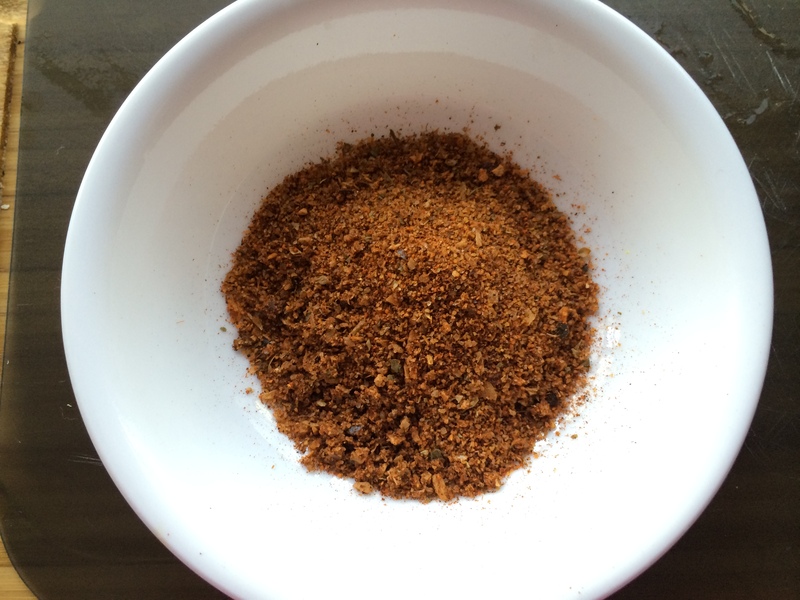 Spice mix: I make my own Mexican seasoning which I use in all mexican dishes like fajita, taco, enchilada and even chili. Hi Rashmi, I have not posted that recipe but will do that in the next few days. In the mean time, dotry this recipe with a store bought fajita seasoning.